At least 18 major companies have now announced that they are pulling their sponsorship of Laura Ingraham’s Fox News program because of a Wednesday tweet by the anchor widely seen as mocking Parkland, Florida, school shooting survivor David Hogg. On Saturday, Claritin manufacturer Bayer announced that it was joining other recent sponsors of “The Ingraham Angle” in stopping its advertising on the show after Hogg’s Wesdnesday night call for a boycott of corporate advertisers. Yes, @JonCoopertweets, that’s right. @BayerUS has stopped advertising on Laura Ingraham and we have no plans to resume any time in the future. On Friday, Byron Allen’s Entertainment Studios — whose upcoming Teddy Kennedy film “Chappaquiddick” had been promoted frequently during “The Ingraham Angle” in recent weeks — was one of nine companies announcing that it “had pulled all Chappaquiddick ads” from the show. Other Friday walkouts included Liberty Mutual, Office Depot, Miracle-Ear, Jenny Craig, Principal investment group, Honda, Ruby Tuesday and Atlantis resort. 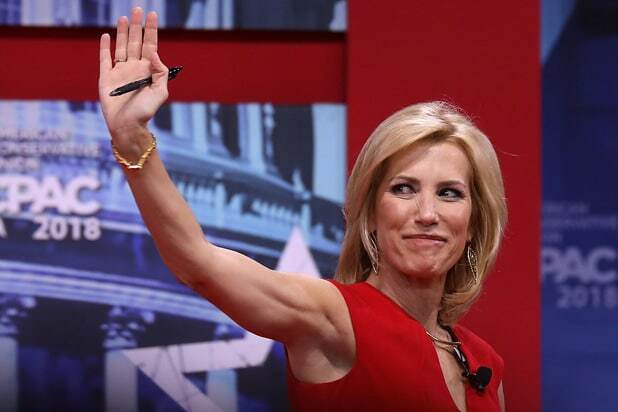 The flight of sponsors is a major threat to Ingraham, who launched her show last October to strong ratings and announced Friday that she would take a two-week vacation she said was pre-planned. The advertiser exodus began on Thursday when Hulu, TripAdvisor, Wayfair, Nutrish, Expedia, Stitch Fix, Johnson & Johnson and Nestle bowed to public pressure to cut ties with the show. Nestle, Expedia, Johnson & Johnson, Stitch Fix, and the pet-food company Nutrish issued their own statements that they would stop advertising on Ingraham’s show. Hi Melissa, we are in the process of removing our ads from Laura Ingraham’s program. Hey there! We appreciate our clients' feedback on this, and we can confirm we're no longer advertising on Laura's show. Men’s clothing retailer Jos. A Bank, told TheWrap that it does not consider itself a sponsor of Ingraham’s show and that the two ads that aired during Wednesday’s broadcast were most likely bonus ads from the network. Ingraham had come under fire on Wednesday after tweeting about how Hogg, a senior at Parkland’s Marjory Stoneman Douglas High School, “whines about” his rejection by UCLA and several other colleges to which he had applied. Hogg responded Wednesday evening by naming 12 of Ingraham’s top advertisers and suggesting a boycott of them in a tweet (though one that actually misspelled the network host’s name). As the high school students of Marjory Stoneman Douglas in Parkland, Florida, have increasingly pushed for change around gun control -- most recently in the March for Our Lives events around the country -- they've become the victims of attacks and conspiracy theories by those who wish to discredit them and their cause. Some of the most vocal figureheads of the movement, David Hogg, 17, and Emma Gonzalez, 18, have largely been the targets of these critiques. These five claims have been debunked as false, but it hasn't stopped them from widely circulating on social media. David Hogg is NOT a "crisis actor"
On Feb. 21, a video claiming that David Hogg was a "crisis actor" briefly became the No. 1 Trending video on YouTube. 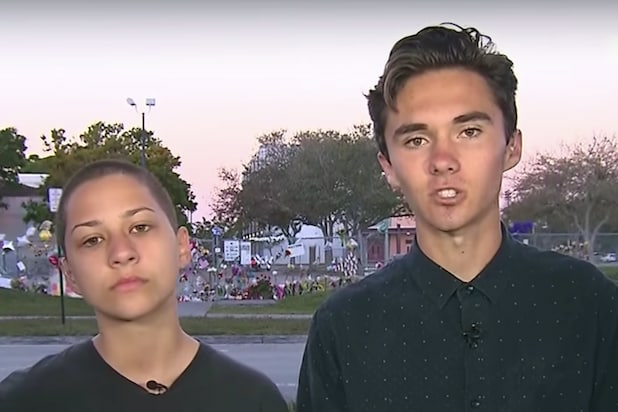 The video included an old clip of Hogg being interviewed by a Los Angeles CBS affiliate, and it was falsely used as evidence that Hogg did not attend Stoneman Douglas as a student but was an actor. YouTube pulled the video later that day, but not before it received over 200,000 views. A separate meme also claimed that Hogg had attended and graduated from a high school in southern California. And other right-wing writers even claimed that Hogg's media appearances were suspect because his father previously worked for the FBI. Hogg explicitly denied these conspiracy theories. An article by Sara Rumpf in RedState questioned whether Hogg was on campus during the shooting. Rumpf noted that Hogg's comments in a CBS documentary and his quotes from a Vox article contradicted each other and called into question whether he was actually on campus. Hogg was on campus during the shooting and then returned several hours later with a camera to interview students. Rumpf later recanted the original report and apologized, but conservative media host Erick Erickson had latched onto the original story and stood by his criticism calling Hogg "a bully." An animated GIF went viral showing Emma Gonzalez tearing up a copy of the U.S. Constitution. But the image, which was tweeted out by the Twitter feed "Gab" and later by actor Adam Baldwin, was doctored. The original image came from a video from a Teen Vogue photoshoot in which Gonzalez tears up a firing range target. Two conservative blogs, LouderwithCrowder.com and The American Spectator, posted an abbreviated clip of Emma Gonzalez's remarks at a rally on Feb. 17, claiming that they were "a startling admission" that Gonzalez and others had bullied shooter Nikolas Cruz. "Those talking about how we should have not ostracized him? You didn’t know this kid! OK? We did," Gonzalez said. But in context, Gonzalez was referring to the fact that school officials were alerted to Cruz's behavior and mental instability. Another student, Isabelle Robinson, wrote a New York Times op-ed responding to the idea that students needed to be nicer to Cruz. "The idea that we are to blame, even implicitly, for the murders of our friends and teachers is a slap in the face to all Stoneman Douglas victims and survivors." 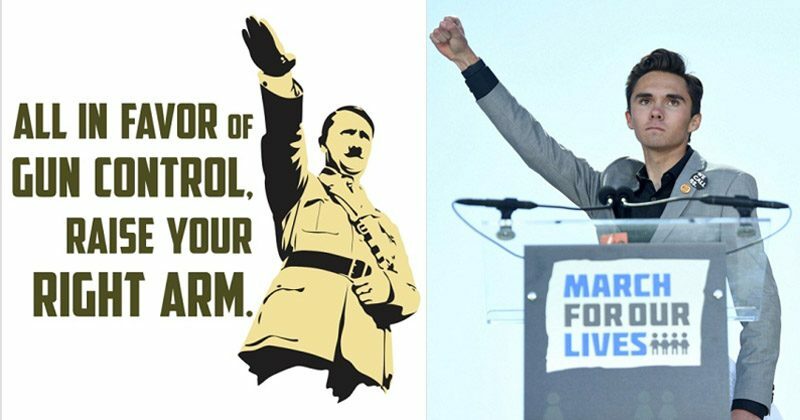 Following his speech at the March for Our Lives rally, an image circulated juxtaposing David Hogg with his arm and fist outstretched with an image of Hitler giving the Nazi salute. "All in favor of gun control, raise your right arm," the meme reads. Several on social media also drew the comparison, but video shows that Hogg extended his closed fist into the air rather than an open palm facing downward.